This is my first attempt at Self Portrait Tuesday. It's a photo taken about 4 years ago of my then husband and my now husband. Ex husband is in the background, current husband in the foreground. It was taken at the beach in Edinburgh on a lovely sunny but chilly day at the start of summer. All three of us had seperate yet interlinked memories of going to that particular beach. 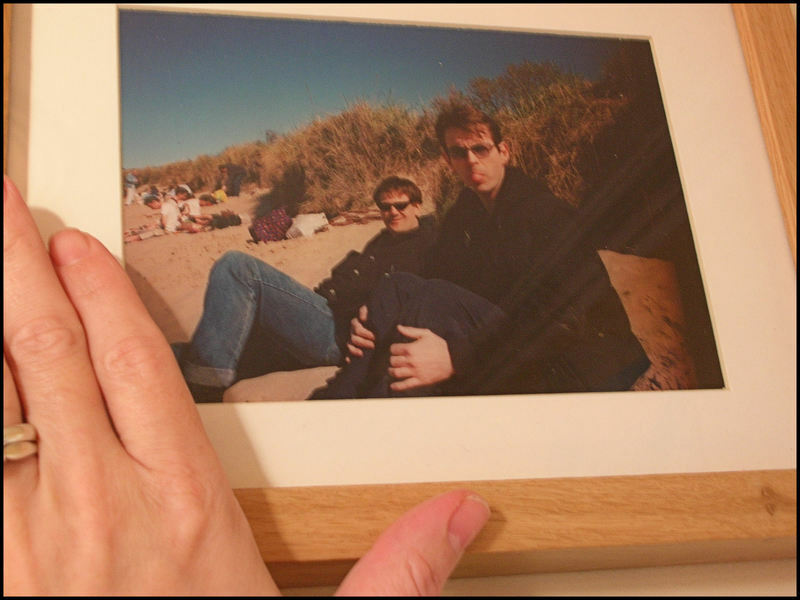 I had gone with my ex husband when we were married, and had very fond memories of sitting in the dunes, people watching and he had gone to the beach with Jim (current husband) on a number of college trips out and had always loved it. At the time of the photo I was still officially married to ex husband (although separated) but was living with Jim (due to be married the following year). I love the photo so much as it reminds me of how lucky I am to (still) have both men in my life, albeit transatlantically with ex husband now.